Plan your college trip today. Where do you want to go? Find colleges by entering a school name Or, use our College Search to discover the right school for you. What is Go See Campus? helping you get the most from the college search experience. 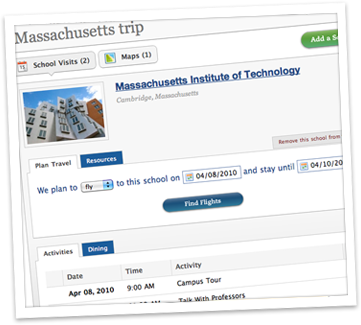 Use our Trip Planner to quickly and easily organize your college trip. Get College Advice on campus visits, applications, and admissions. Connect with our Community and get answers to your questions. Access Professional Tools for college counselors, educational consultants, and college representatives. Explore Go See Campus now! Or, find out more.